Yum, yum! Cute bird, I have them here in MA on a regular basis but when I lived in Tucson I never saw them there unless I went up in the mountains! Such a handsome fellow! It's always fun to watch the Downy Woodpeckers at work. Great images! 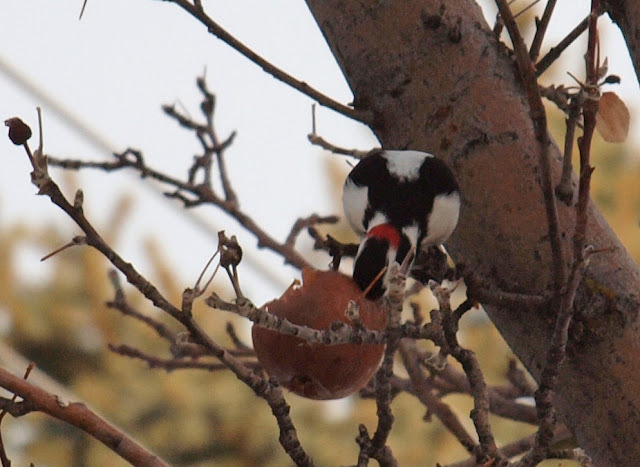 @Kathie @Julie G. Today on my lunch hour walk along the Jordan River in Salt Lake, I watched three Downies up close, literally just a couple feet away as they worked over tree branches. So cool! I love the shot of the Downy eating the apple. I've never seen that before!! Very cool... I need to find an apple orchard!